Opti-Rite® Primer is made in the U.S.A. by Gardner-Gibson. 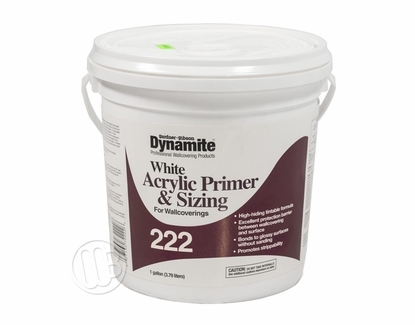 A white acrylic primer and sizing that is recommended for all Opti-Rite® dry erase wall coverings. Created as a high-hiding formula that can be tinted. It will create an excellent protective barrier between your wall covering and the wall surface and it will bond to even glossy surfaces without the need to sand prior to application. 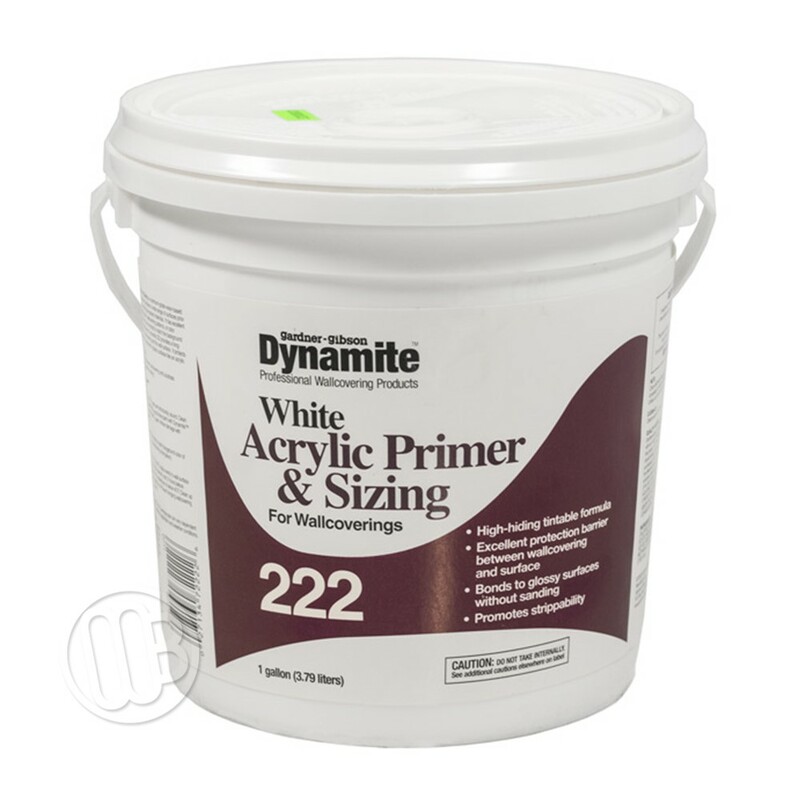 Using Opti-Rite Acrylic Primer, (Dynamite 222), will make your wall covering strip much easier when you're ready to remove the product at any later date. Surface must be clean and free from all dust, oil, dirt, grease, mildew or any other foreign matter. Plaster - New Plaster must age for at least 30 days prior to priming. Other Surfaces - In general, surfaces should be clean, dry, smooth and structurally sound prior to priming.